The second is the middle one distributed to guests and well wishers. The third is the top tier of the cake was kept for the christening, and symbolised the connection between the marriage union and birth of the first child. 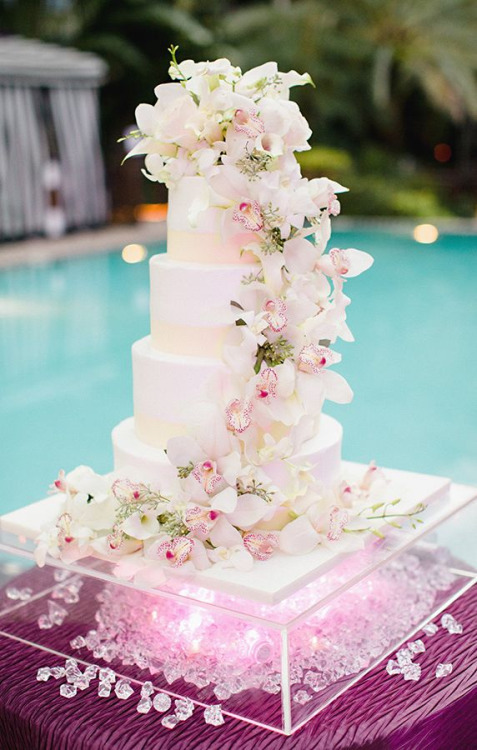 Nowadays, although it is less common to have an entire wedding cake made in fruit, this tradition of preserving the top tier for the christening or even the first anniversary is still a popular choice for newlyweds. Traditional fruit cake is the best type of cake to preserve as it has a long shelf life, and unlike most other flavours it tastes better as it matures. If the fruit cake is not going to be eaten within six to nine months, it is best to freeze it to preserve it for longer. First clean a wedding cake from any decorations, i.e. Sugar flowers. Place the cake in the freezer for about half and hour. Freezing the cake for a short time beforehand will prevent the wrapping from sticking to the icing. Take the cake out of the freezer and package it well in cling film/plastic wrap. Next packing it in a layer of foil. If possible, place the cake in an airtight container before putting it in the freezer to help protect the cake further. Allow at least 12 hours for your cake to defrost, especially if it is fairly large. Place the cake in the fridge, still in its packaging and storage container if you used one. Leave it in the fridge until it is nearly defrosted then remove the wrapping and place it back in the fridge to continue defrosting. When it has thawed completely, take it out of the fridge and allow it to reach room temperature. If the icing shows any sign of sweating, don’t be tempted to touch it, just let it dry out. Re-icing your cake for a christening, anniversary or other special occasion. Fruit cakes can also be re-iced and decorated to match the occasion. 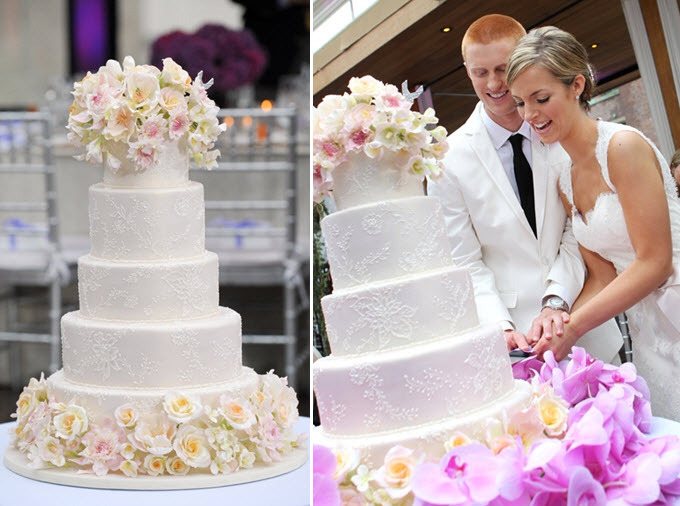 The icing and marzipan is carefully taken off and the cake is re-marzipaned and re-iced. 0 Response to "Preserve the Top Tier of a Wedding Cake"